Hair combing is a routine activity of almost all people.Some people keep a particular hair style throughout their life and some especially younger generation adopt new styles according to new trends and fashion.Hair styles has got close relation with the personality of a person.The hair of an unhygeinic person is usually tangled and dirty because of lack of washing and combing.To have a healthy scalp hair proper nutrition is needed.General health has got direct relation with the quality and quantity of hair.Regular washing,use of hair oil,proper combing ect are also needed to make the hair beautiful.General hints for combing is discussed here. 1) Different varieties of combs are available in the market.The best comb is selected by considering the nature of hair(hard or soft,long or short) ,style and convenience. 2) Combing should be done with utmost care and concentration.Some people especially gents think about some other matters and comb without any care which may be harmful to the hairs. 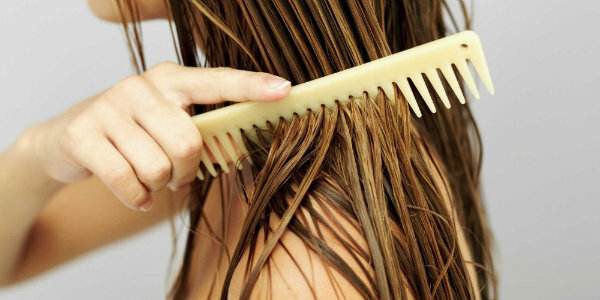 3) Combing should be gentle .A vigorous combing can increase hairfalling. 4) Do not comb if the hair is wet. First dry it with a towel and then put some oil and gently massage it.Now the combing will be easy and harmless. 5) Should not be combed in the opposite direction of hairs.This can increase hair falling. 6) Vigorous combing in backward direction can produce traction baldness. 7) Frequent combing can damage the scalp and the hair follicles.Those who carry pocket comb use it frequently and make it a habit.Combing two or three times in a day is sufficient. 8) The tooth of the comb should not be sharp and it should not be pressed too tightly on the scalp. 9) Always clean the comb before and after use because hair and dirt deposited in the gap will make combing diffucult and painful. 10) Others comb should not be used.This helps to prevent fungal and bacterial infections.Head lice can also spread from one person to other by sharing the combs. 11) Combing the tangled hair is difficult and painful.Hence use some shampoo for cleaning and after drying put oil and make the hairs free for an easy combing.